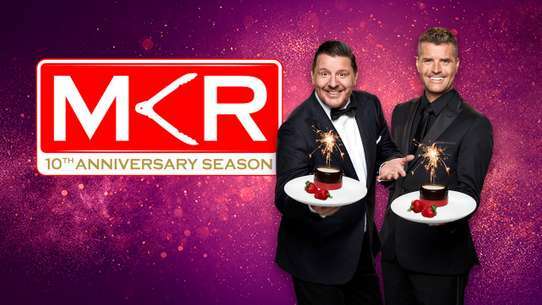 MasterChef Australia is an Australian competitive cooking game show based on the original British version of MasterChef. 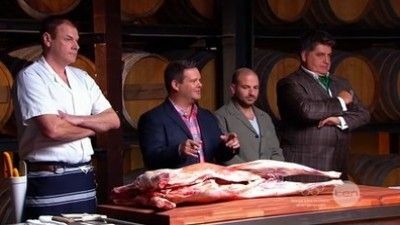 Food critic Matt Preston, chef George Calombaris, and restaurateur and chef Gary Mehigan serve as the show's hosts and judges. All of the contestants from this year's competition return to take part in the last Masterclass of the season. The tables are turned though as they set a mystery box challenge for George and Gary. 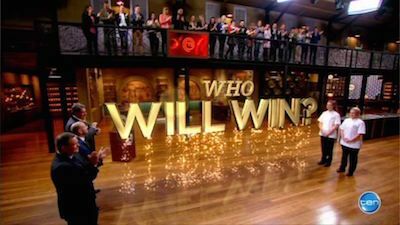 The massive finale will be played out in a culinary duel over three rounds with the chance to win $250,000 and prizes to change their lives forever. 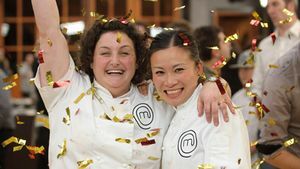 Who will be Australia's MasterChef for 2014? Annie Smithers and John Reid are with the top five contestants & the judges, to create some great regional country produce. In tonight’s MasterClass, Brendan Pratt cooks slow roasted lamb shoulder with croquettes. 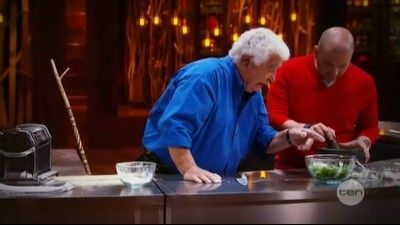 Three contestants must cook off in an elimination pressure test with one leaving forever. 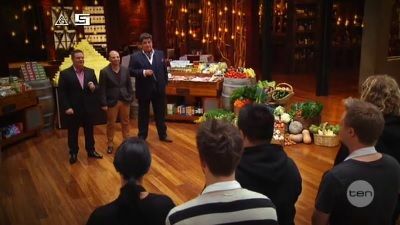 Also, the contestants sit the final MasterClass, joined by special guest chefs Curtis Stone and Kylie Kwong. Heston offers a masterclass on how to create perfect scrambled eggs. He also creates a roasted leg of lamb with anchovies and rosemary and demonstrates how to carve for maximum flavour. 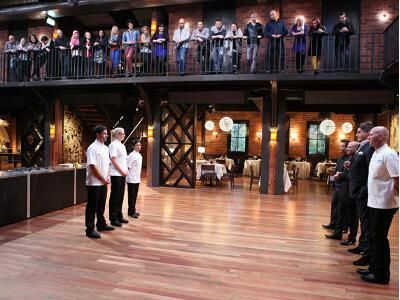 Tune in as the winner of MasterChef Australia 2015 will be crowned. The finalists are competing for a $250,000 prize, a monthly column in Australia's leading premium food magazine 'Delicious' + more! The judges serve up duck two ways and invite guest chef Kumar Mahadevan to cook a spicy prawn curry. Justin North also helps the contestants make crackling pork. The Barossa Boot Camp comes to an end with a MasterClass featuring great local produce and two of its favourite residents, Maggie Beer and William Wood. The stakes are high as the three remaining contestants fight for a place in the finale. Will your favourite amateur cook make it through to the final two? Masterclass Reunion - The Top 20 contestants were reunited in the final Masterclass and revealed what they have been up to since leaving the show. Poh and Julie also challenged George and Gary to a Mystery Box Challenge. Finale Night - Poh and Julie competed against each other in three rounds consisting of a Taste Test, an Invention Test and a Pressure Test. Points would be earned for each test, with the winner decided based on the final tally after the three tests. The teams have two and a half hours to create a Heston-esque medieval feast for ten noble knights and the judges. Devon, Courtney, Philip, Jimmy, Jake and Peter competed in the final round for one of 3 spots back in the competition. They were faced with an Invention Test, with the freedom to choose from an extensive range of ingredients. 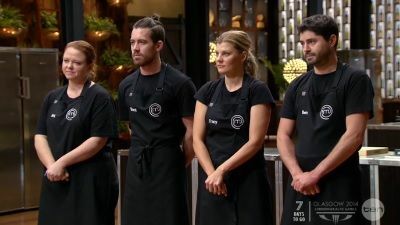 In a twist, it was the Top 7 contestants who were unknowingly deciding their fate; judging the six dishes under the pretence of learning how to critique a dish. The seven plus Matt Preston were unanimous in their decision. Four contestants face off in a sudden death elimination challenge? and then an incredible Masterclass from Heston. 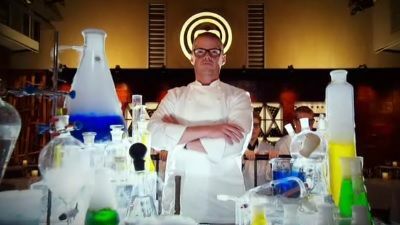 The three winning contestants are given just 90 minutes to cook either an entrée, main or dessert while Heston has to cook all three courses in the same time. There is a twist in the challenge though. 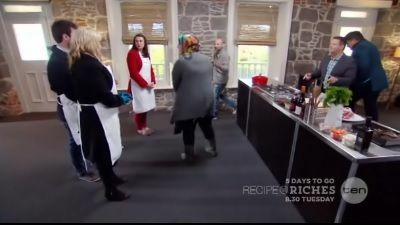 The girls-versus-boys themed challenge continues and they find themselves in the picturesque Barossa Valley instead of the Masterchef kitchen. 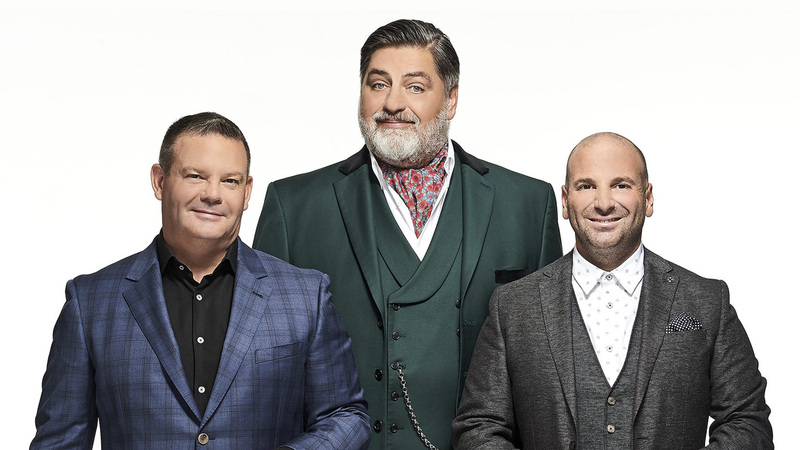 The two lucky contestants who won Sunday night’s challenge are flown first class to Paris where Matt Preston shows them some of his favourite places to eat. It all comes down to this. The MasterChef finale. 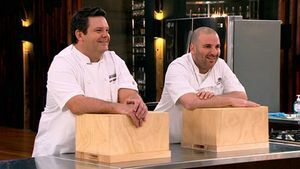 The final three are hoping they have saved their best for last, as they step into the MasterChef kitchen for the last time. Gary and George showed the contestants how to make the perfect pizza, while Gary also served up an English rice pudding, and George cooked up some chicken oysters with homous and fatoush. 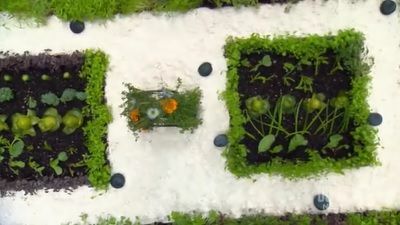 With just four pairs left vying for an elimination pin and in an invention test each couple has to create a sweet and a savoury dish. 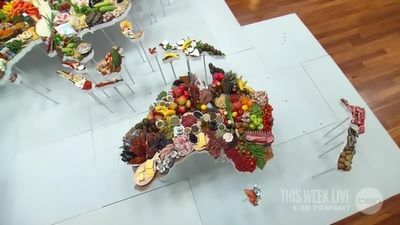 The contestants find themselves standing in front of the Qantas World Map of Food. They then have to create dishes from various regions of the world. 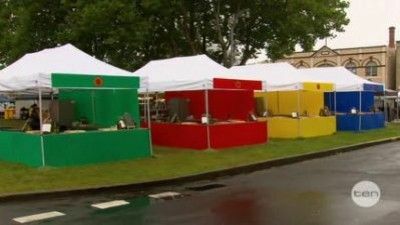 The contestants arrive in Tasmania for a market stall competition, where they are divided into four teams. The teams must run their own take away market stall and create their own unique dish. Antonio Carluccio creates Handkerchief pasta with Ligurian Pesto whilst Gary shows how to make the perfect carbonara. 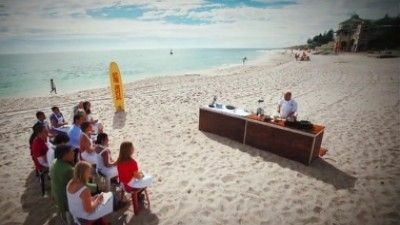 Thirty three contestants compete in a Sweet Pressure Test created by superstar chef Shannon Bennett. With six more aprons up for grabs, his Peach Melba dessert is a challenge to say the least!